Knee-replacement surgery is being performed for a younger, more active patient population than ever before. En español l So you're in extreme pain and have been told you need a total knee replacement. You're not alone. The number of knee replacements in the U.S. has almost doubled in the past decade, to 600,000 a year, in large part because boomers like you want to remain active as they get older. "Historically we would reserve knee-replacement surgery for people who were really in the end stages of arthritis — those who literally couldn't walk and had to use a wheelchair," says Carl Deirmengian, M.D., an orthopedic surgeon with the Rothman Institute in Philadelphia. "Today, knee replacement is performed for a younger, more active patient population than previously seen." Surgery in general is not without complications, though, and knee-replacement surgery in particular will require months of rehabilitation. So how do you decide when it's time to schedule the procedure — or just deal with the pain a little while longer? From my own experience as a surgeon, and from talking with orthopedists like Deirmengian, here is my best advice about when to schedule the surgery and what to expect in the process. Nancy Snyderman, M.D., is a medical expert for AARP. Read her recent columns and learn more about her. "How a young cancer patient helped open my eyes"
Traditional therapies are no longer working. These might include anti-inflammatory medications, physical therapy, even steroid or hyaluronic acid injections. You find yourself avoiding even minor activities. Your sleep is constantly interrupted by pain. Knee replacements are generally safe, but your doctor's experience counts. "Complications are lowest for surgeons and hospitals that perform a larger number of replacements," Deirmengian says. Choose a surgeon who does at least 50 a year. It's best to have only one knee replaced at a time. Recovery is faster and easier when you have one healthy leg to assist with strength and balance. Knee replacements are expensive. Hospitals charge almost $50,000 on average, though Medicare and private insurance generally cover most of that. Rehab is hard work. You'll start physical therapy within 24 hours. The pain can be intense, but it usually subsides quickly. After a few weeks, most patients can be weaned off narcotics and rely entirely on over-the-counter pain medications. Setbacks are common. "My patients sometimes find that around weeks three to four, the knee starts swelling again. This is only a transient phase," Deirmengian says. Full recovery takes time — at least six weeks, though it will be longer before you can return to athletic activities. Artificial knees don't last forever. But you can expect at least 15 or 20 years of good use before you might need surgery again, says Deirmengian, adding that knee-replacement surgery is "one of the surgeries that patients rate highest in satisfaction because of the improvement they see in their quality of life." 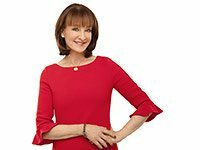 Nancy L. Snyderman, M.D, is a head and neck surgeon, and chief medical editor for NBC News.